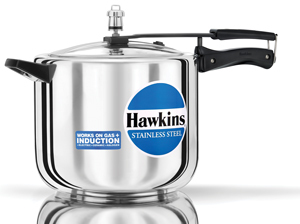 The body and lid are 100% stainless steel. 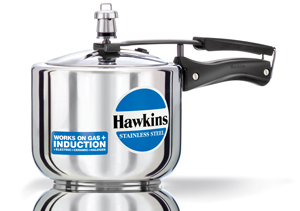 To ensure uniform heating, the bottom has a core of 4.06 mm thick aluminium sandwiched between two sheets of stainless steel. 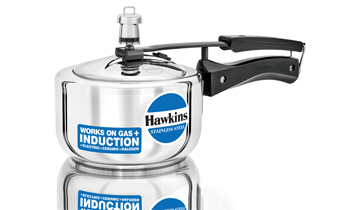 The base always stays flat, never bulges. 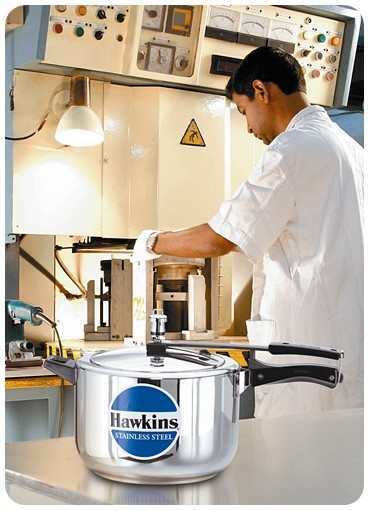 Stainless steel stays bright, does not pit or corrode, is easy to clean and extremely hygienic. 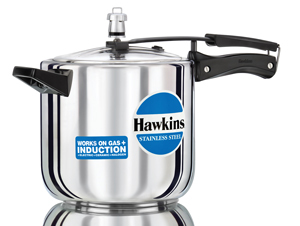 Can be used safely for light and deep frying and pressure cooking. 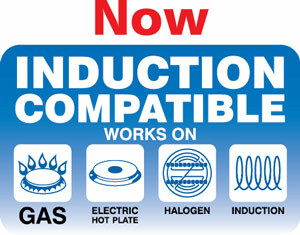 Suitable for gas, electric, ceramic, halogen and induction cooktops. 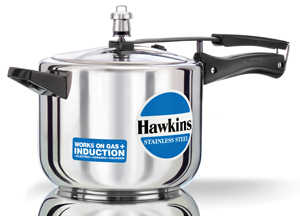 Please note that all models of the Hawkins Stainless Steel Pressure Cooker supplied since April 2011 in the Indian market are suitable for use on induction stoves as well as on domestic gas, electric, halogen, ceramic and kerosene stoves. 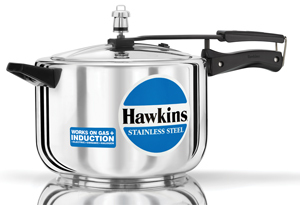 All models of the Hawkins Stainless Steel Pressure Cooker manufactured prior to April 2011 are suitable for use on all the above stated heat sources except induction. 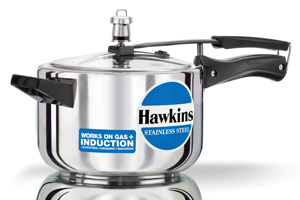 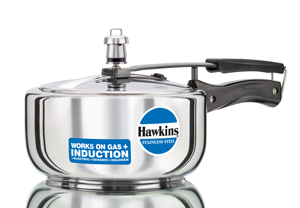 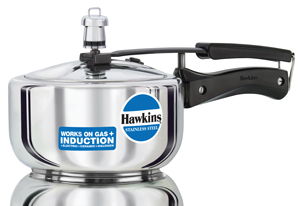 If you are looking to buy a Hawkins Stainless Steel Pressure Cooker especially for use on induction stoves, be sure to look for the following indicators which will help you identify whether the model you are reviewing is induction compatible or no.  CONSUMERS: ANY QUESTIONS OR COMMENTS?